Be Known for Something : Discover Your Church Communication Thread / Communication Strategy / Church gone Mobile. I always like when someone asks, “what church do you go to?” The standard answer is Local Denomination Church in Local Community. I love the local church; but just when we started “doing” local church fairly well, the church is on the move. Of course, we’re part of the global “Church”; and we can “meet” anywhere when a few of us get together. But the local church is becoming more dynamic. And you should get ready for it. Church likes meeting outside of its walls. “Third space” is the buzz word. Congregations love meeting outside of their church or home to do something other than regular programming. Building community is huge. Think about spaces in your church that can be used for “third space” for businessmen. And think about where your church groups can meet for community building activities. Like a local park, a Starbucks, a community center, etc. People are researching on their mobile devices. More and more people are using ipads and smartphones to search and research. Make sure your church has a great looking mobile site that looks amazing on small screens. And you’re connected to apps and phone services. It’s a different way of thinking; yet it continues down the path of “less is more”. Simplify! Congregations are watching videos. A recent stat says that more than half of Christians are downloading and engaging with podcasts. And many, for one reason or another, stay at home and watch church on a computer screen. Plus, the ability to tag and filter your sermons so anyone can access your library is invaluable. Remember, that the seeker loves to view a bit of a service before coming to your building. 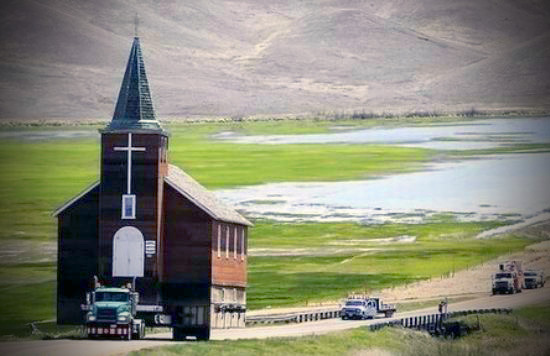 Church is on the move! This is a great thing — it’s as Christ intended it I believe. The more we get outside our doors, the more that people will see this “church” thing is more than a “Sunday” thing.